Previous studies have shown that short–term intake of fermentable oligosaccharides (OS), including inulin, can increase mineral intestinal absorption in humans and animals. While the stimulatory effect of these substances on intestinal magnesium (Mg) absorption is generally high and consistent, their effect on calcium (Ca) seems to depend on experimental conditions, particularly the duration of fermentable OS intake. 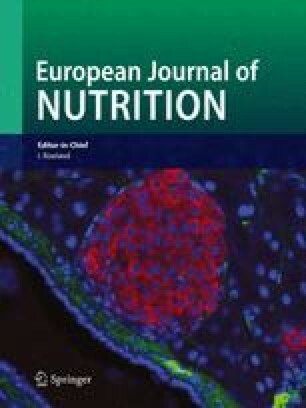 The aim of this study was to determine how the short– and long–term dietary Ca intake may modulate the effect of inulin on Ca absorption. Sixty male Wistar rats, weighing 275 g, were randomized into two groups to receive or not 10% of inulin in their diet. Each group was divided into three sub–groups to receive one of the following dietary Ca levels 0.25%, 0.50% and 0.75% in their food. The animals were fed fresh food and water ad libitum for 40 days. Apparent intestinal absorptions of Ca and Mg were determined at D13 and D36 of the experiment. As expected, inulin feeding increased Ca and Mg absorption in both periods at all dietary Ca levels. However, the effect of inulin on intestinal Ca absorption was dependent on dietary Ca levels and on experiment duration. In the short–term period, the inulin effect was prominent in the groups receiving high or low Ca levels, but in long–term period inulin improved intestinal Ca absorption much more in the group receiving the low Ca level. In addition, efficiency of intestinal absorption of Ca and Mg (%) was negatively affected by Ca intake levels. These results show that the beneficial effect of inulin on intestinal Ca absorption may be more marked in cases where the Ca intake is low or where the organism’s Ca requirement is high. Further studies are required to confirm these results in humans.